65. John Beaumont CORNETT37,57 was born on 7 October 1911 in Waco, McLennan County, Texas.37,45,57 He graduated in 1929 at Waco High School in Waco, McLennan County, Texas.57 He received a B.S. 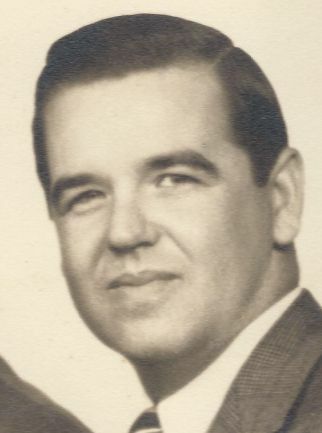 in Electrical Engineering degree in 1933 at Texas A&M University in College Station, Brazos County, Texas.57 John lived at 75150 Mesquite in Dallas, Dallas County, Texas in 2007.58 He died on 14 April 2007 at the age of 95 in Texas.45,57,58 He was buried on 18 April 2007 at Grove Hill Memorial Park in Dallas, Dallas County, Texas.45,57 John served in the military Army Air Corp and the Air Force.57 He enlisted in the Army Air Corp. in 1934 and attended the Army Navy Staff College (1944); Air War College (1949) and National War College(1953). He was a Flight Instructor at Randolph Field, TX, Air Corps Supervisor in Tulsa, OK and during World War II, Group Commander in the 485th Bomb Group of the 15th Air Force. He was shot down over Italy in March of 1945 and became a Prisoner of War. He retired from the Air Force in 1965. (Source: Obituary, 2007) The World War II Memorial Registry lists his action as "Combat Operations, Mediterranean Allied Air Force, Bomb Group Commander, 485th Bomb Group, 55th Wing, 15th Air Force. POW." ii. John Beaumont CORNETT Jr..